In November, I went to visit my daughter at the University of Illinois. She took me to a fabulous museum that had a special exhibit on Guatemalan weavers and weaving. The textiles that these people produce are simply astounding and amazing!! I could have stayed there the whole day just looking around. 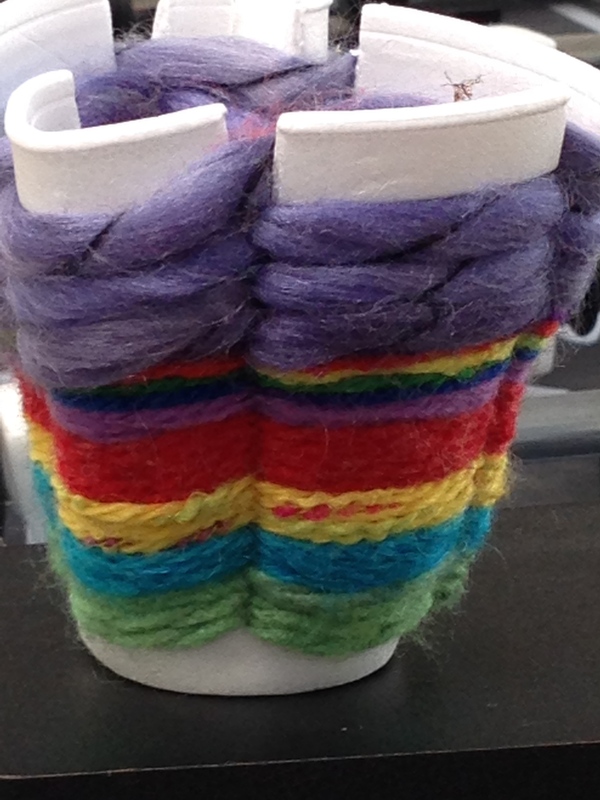 There was a station set up for kids to do fun weaving on a styrofoam cup – my daughter and I just had to take part in it as well! 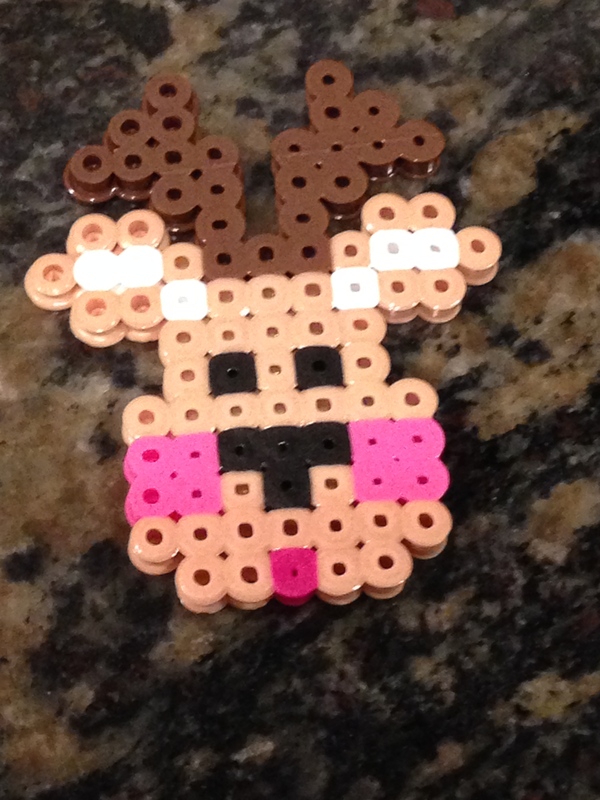 This was such a fun and easy craft to make. I think the kids at our local elementary school will love to make these and since I run the noon art program there I am planning to make this our next project. 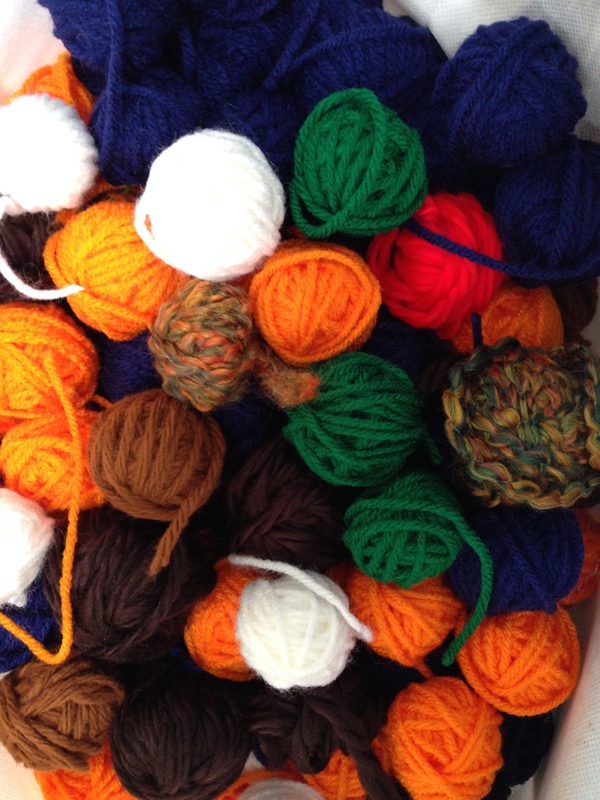 There is quite a bit of prep for this activity and the first step is to roll small balls of yarn for the kids to work with. We have about 25 minutes for the activity and approximately 150-175 students stop by to take part in noon art. I have learned over the years that preparation is the key to success in meeting the needs of noon art!! I will update as soon as we have this activity to show you what the students came up with! 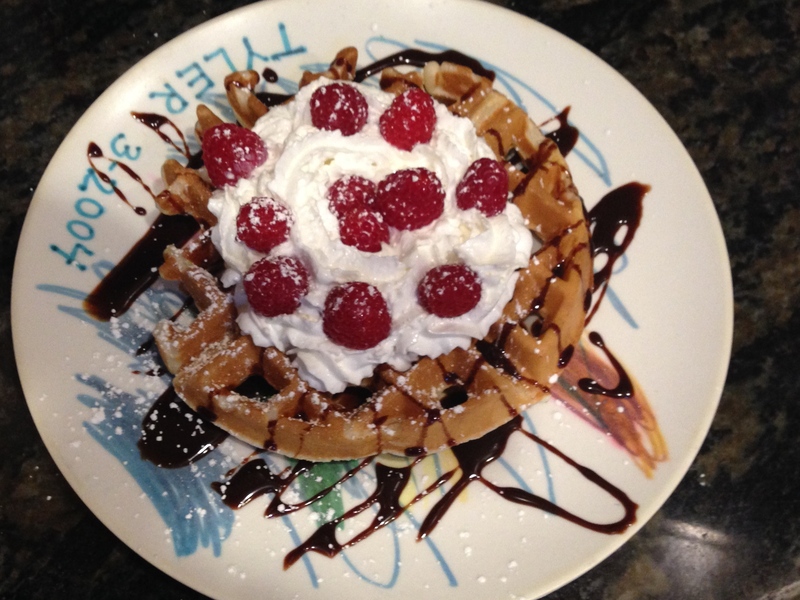 I found a Belgium waffle maker at Costco a little while back and finally decided to make them. 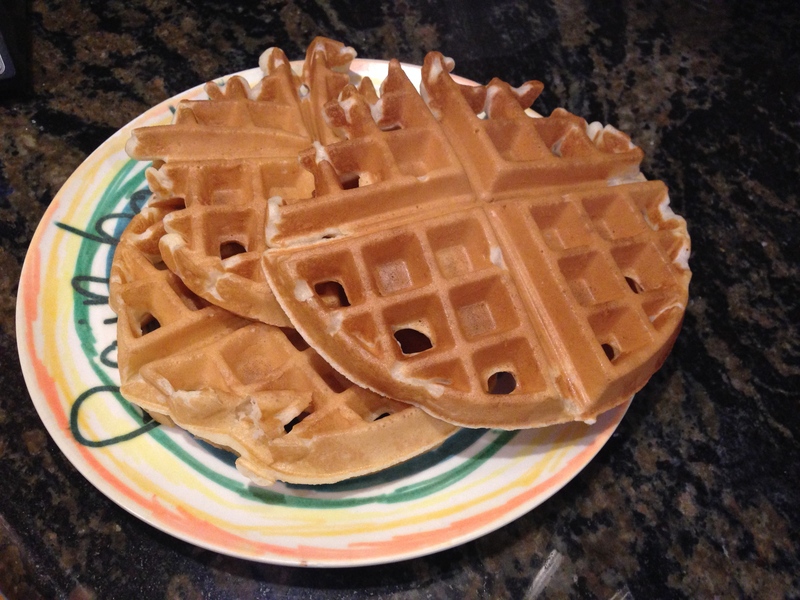 I used the waffle batter recipe on the outside of the Krusteaz Buttermilk Pancake Mix bag. 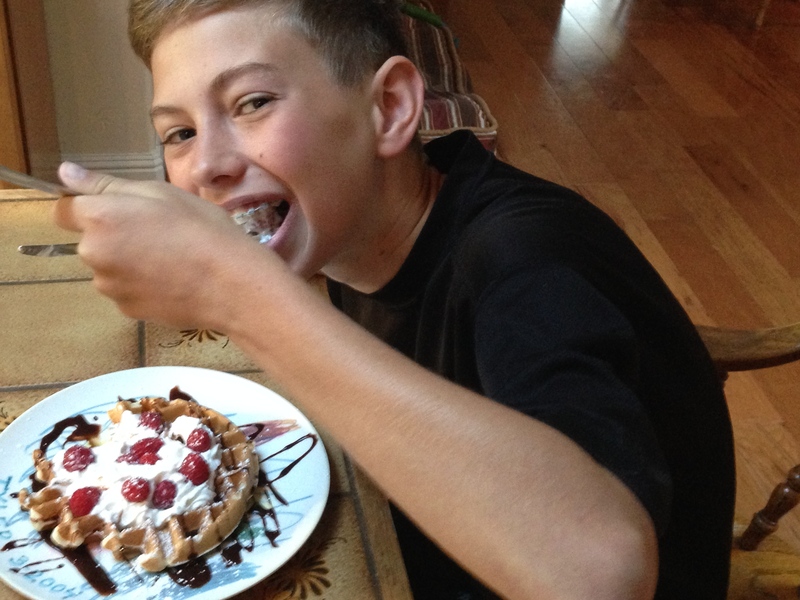 It worked really well with the new waffle maker. 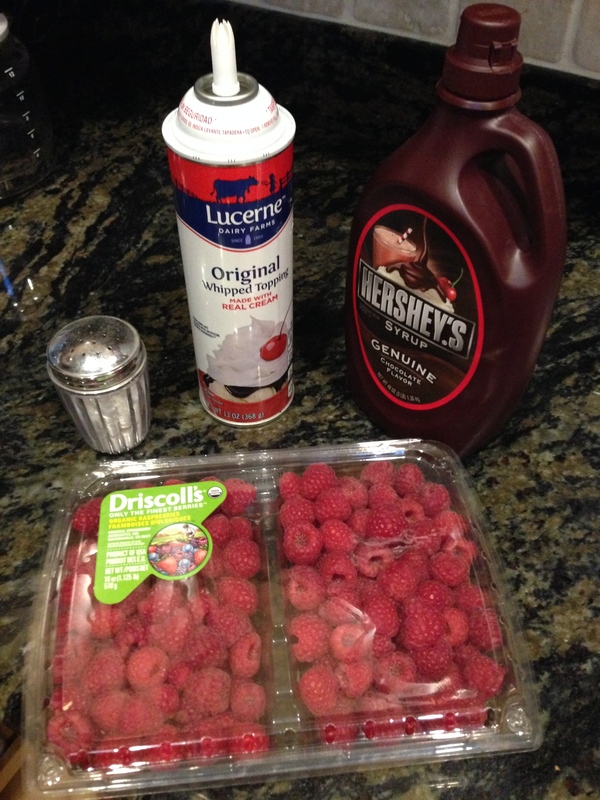 These are some of the other ingredients that we chose to add to our waffles. They were devoured!! These have become a weekend favorite for the family! 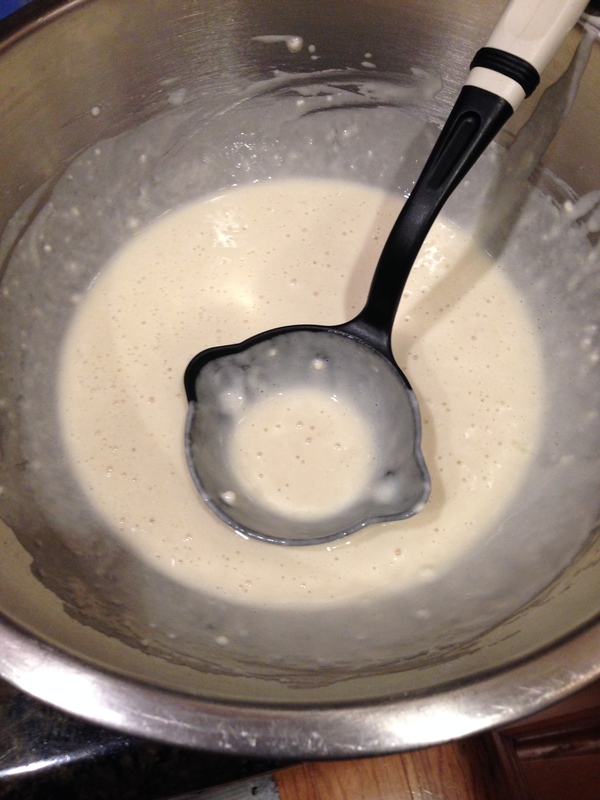 My new recipe success is “Southern Fried Corn” from this recipe. I decided to try this out on a whim and boy was it a HUGE success. All the kids and my husband LOVE it! 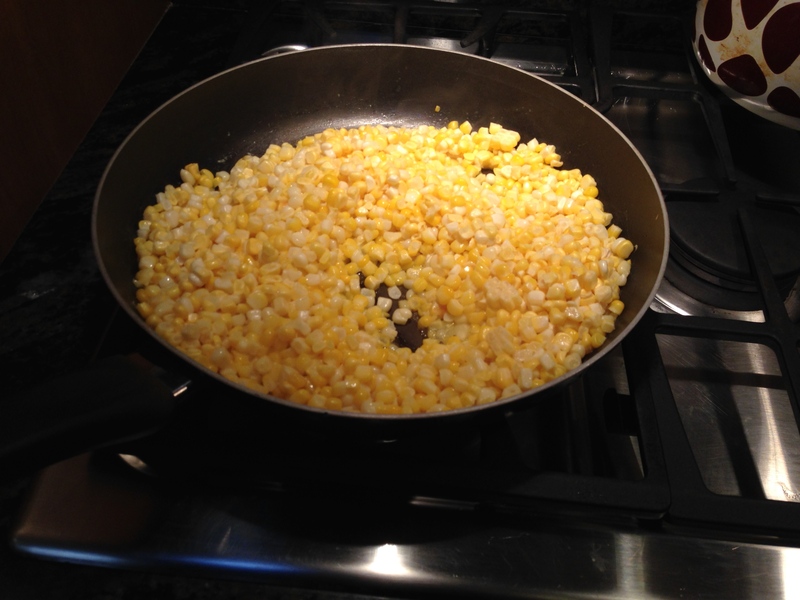 Six ears of corn is not enough for this ravenous family so I have to use nine! And still most times there are not leftovers! 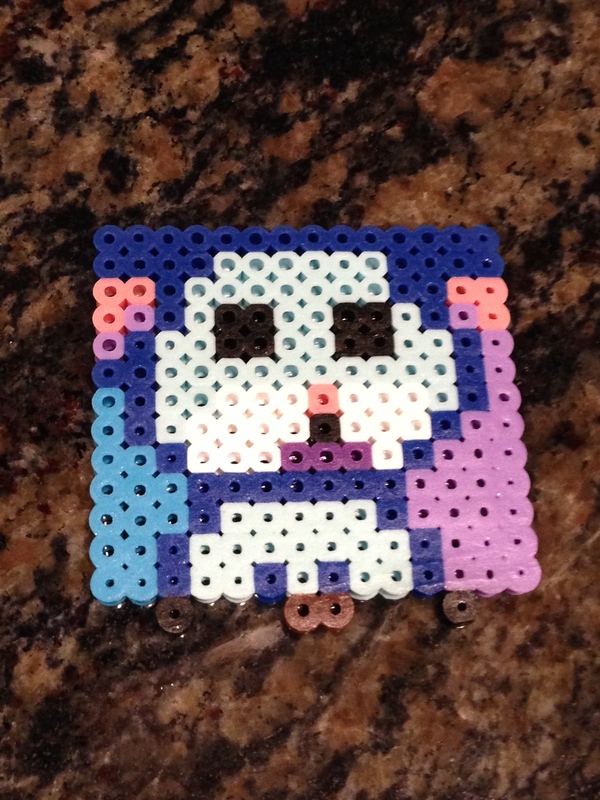 The perler bead craze is still going strong over here! 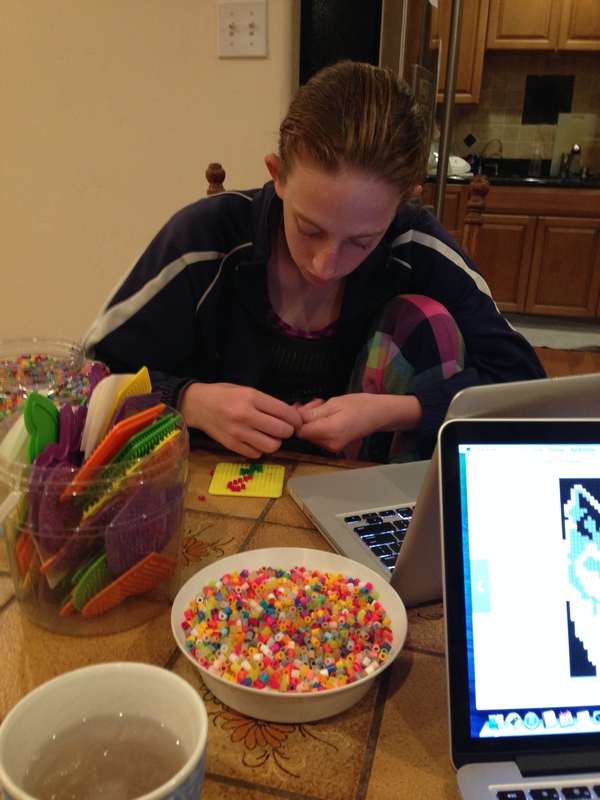 16 years old and still enjoying the perler beads! 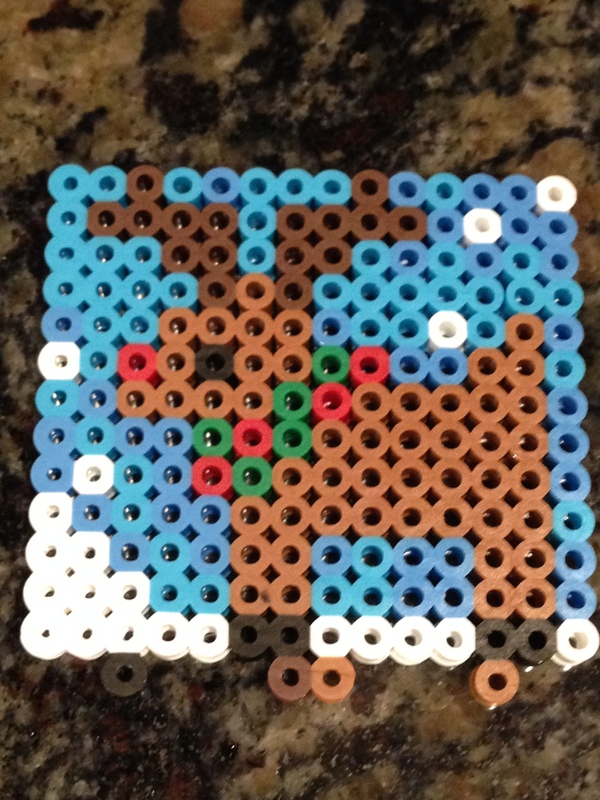 All the kids from big to small have picked up this fun art form again. 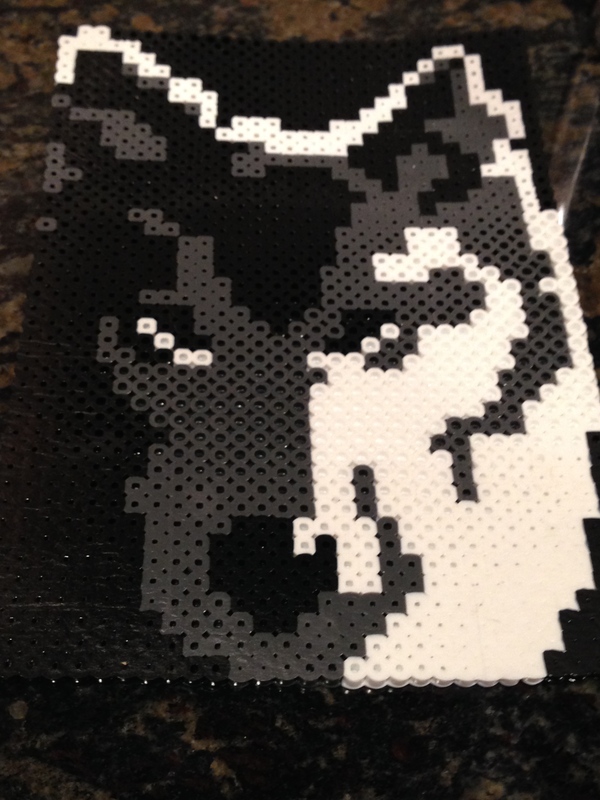 This was by far the most complicated one completed so far. 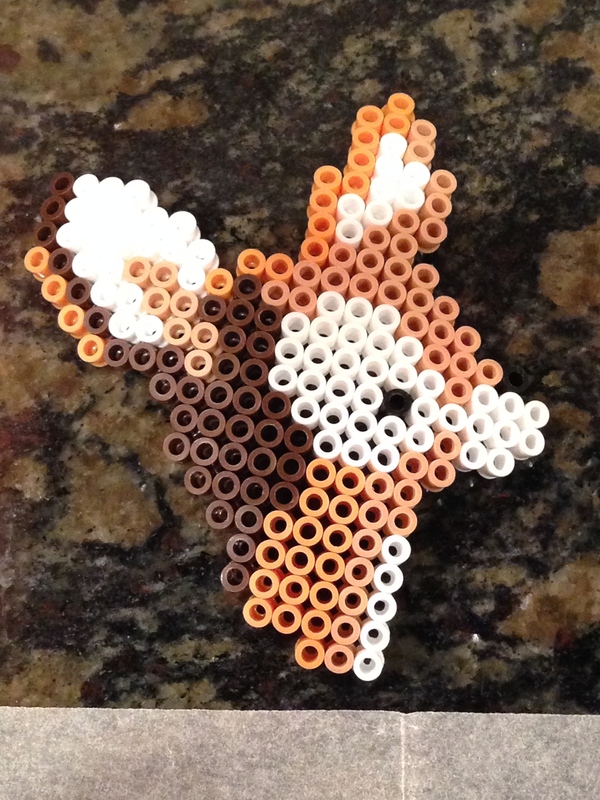 “E” decided to make a wolf and after searching and finding many graphs on-line, she chose this one. 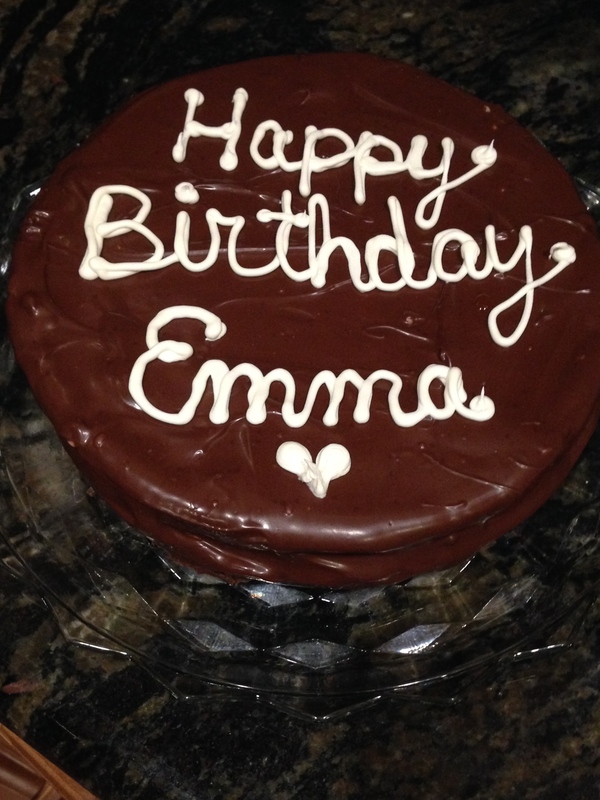 It took her a couple of hours, but I think the final result was worth it!! As you can see, we are not stopping anytime soon! 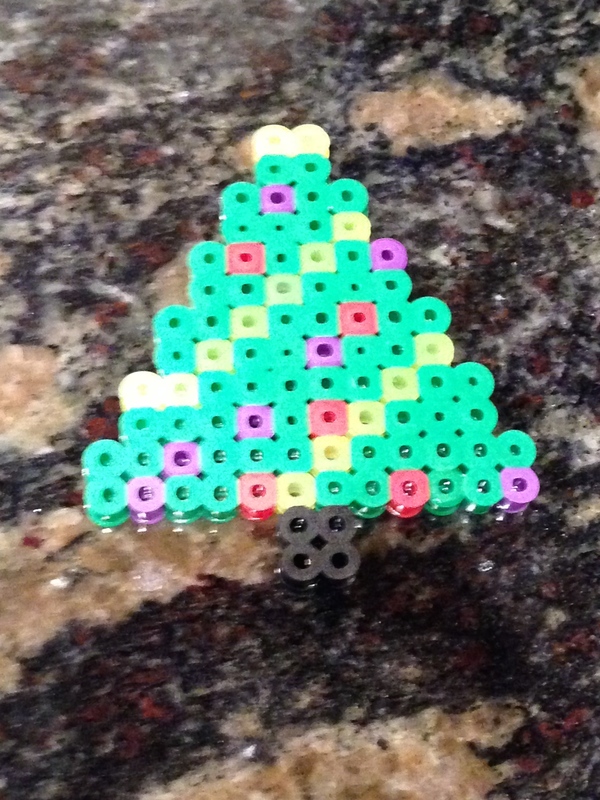 Another trip to Michaels is in store for me … we are running low on beads! 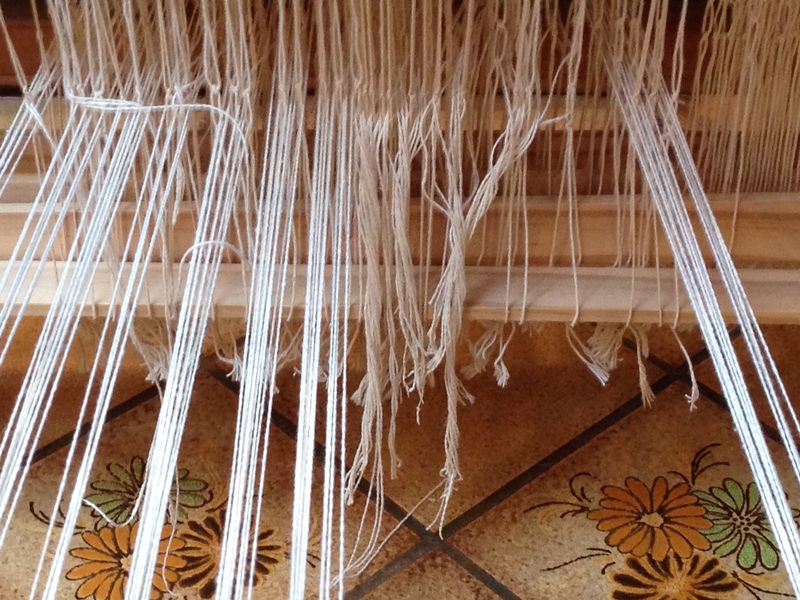 I finally found a few moments to warp my 4-shaft table loom. For me this is not an easy thing to do. I don’t have a lot of free time and when I find some, I am usually not at home. I am usually sitting at a soccer game or waiting for one of my children at their music lessons. 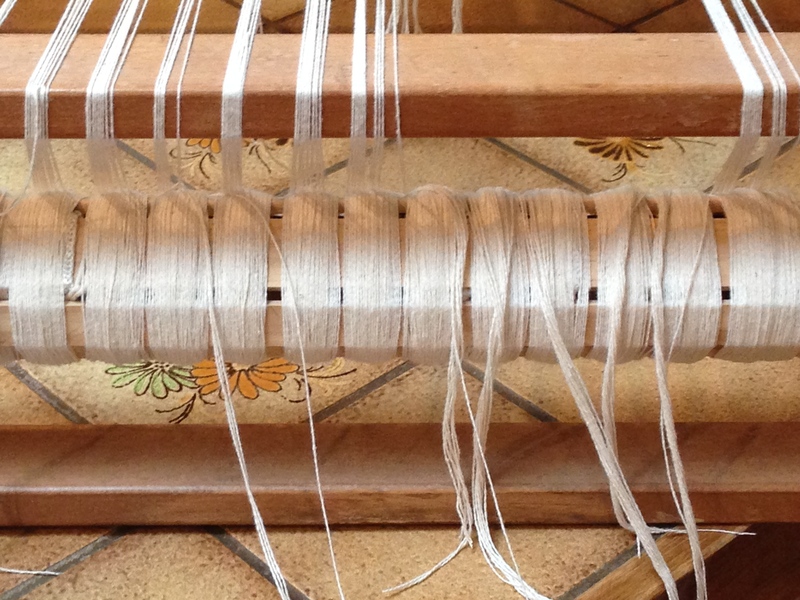 In the last week I found some time to measure warp and to get it onto the loom. I was so happy!! I had plans to make some more dishtowels (I LOVE handmade dishtowels) and it has been so long since I have woven on this loom. 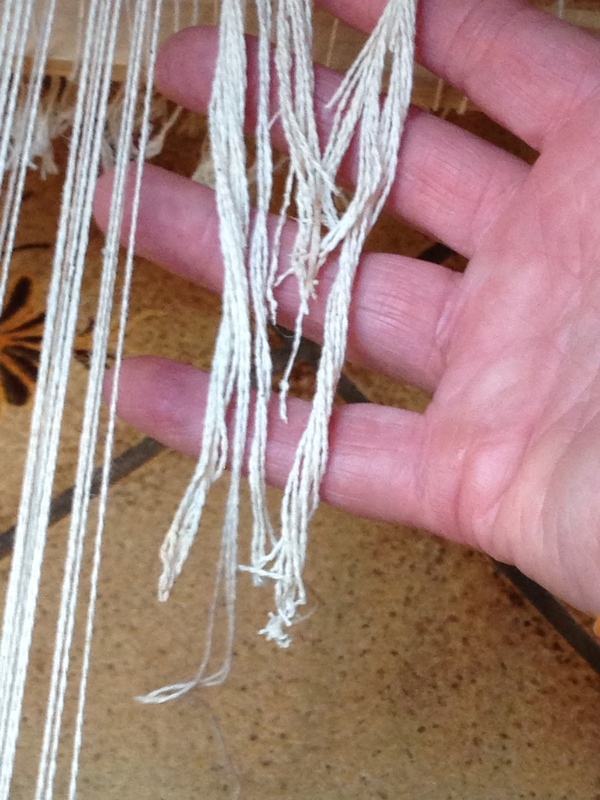 I was really looking forward to starting a new 4-shaft weaving project. Our evil little cat ate my warp threads!!! Can you believe it?!! None of this is salvageable! What a complete waste of supplies and time. Just another view of broken threads. Good thing our kitty is cute! We now have FOUR teenagers in the house!! 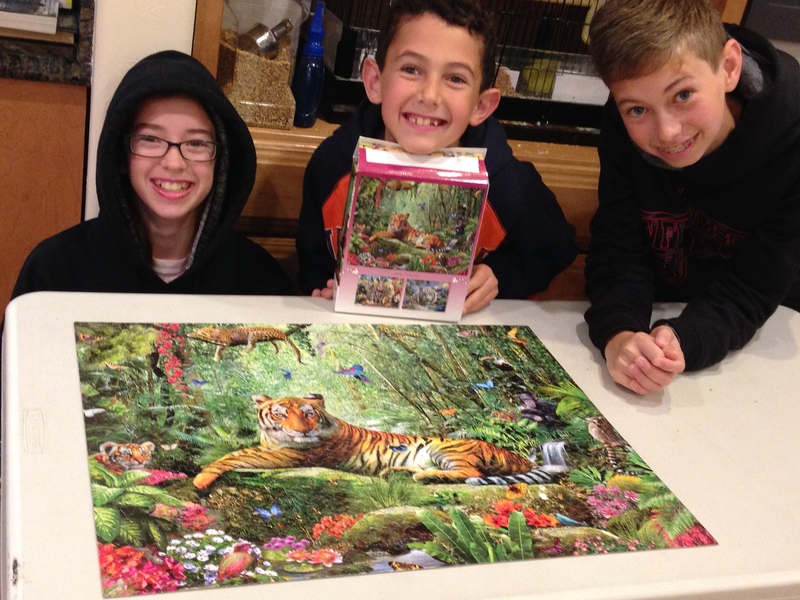 Lately our family has been enjoying putting together a puzzle! I set up one of our folding tables and put out a new puzzle. 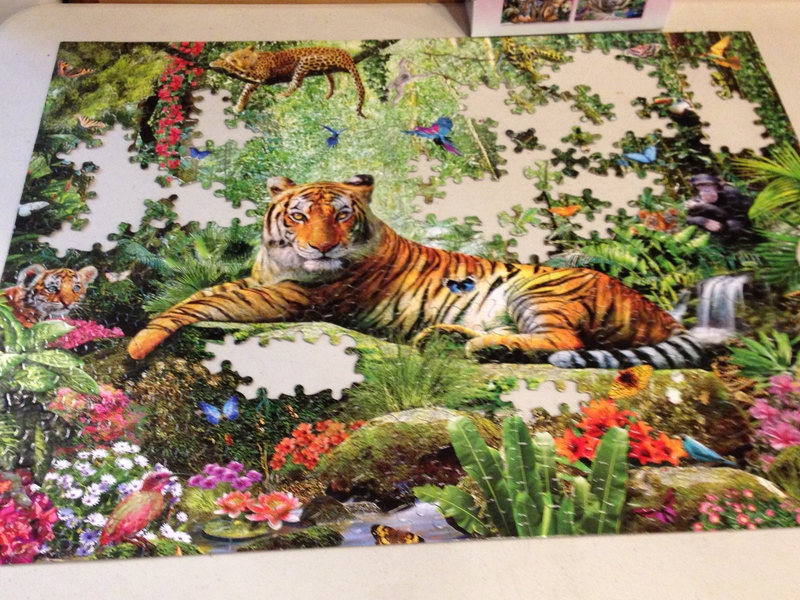 In no time at all we were all standing around the table placing pieces and laughing. It was such a great family moment. Then we were done!!! I can’t wait to put out the next one!